Patrons can enjoy the Palais Theatre’s food and beverages from doors opening time (check your ticket) to the end of interval. We have a selection of sandwiches, soft drinks, snacks and ice-creams, a brand new coffee counter for your favourite hot drinks and our new central bar is fully fitted out with beers on tap, wine, spirits, soft drinks, snacks and ice-creams. Why not make a night of it? 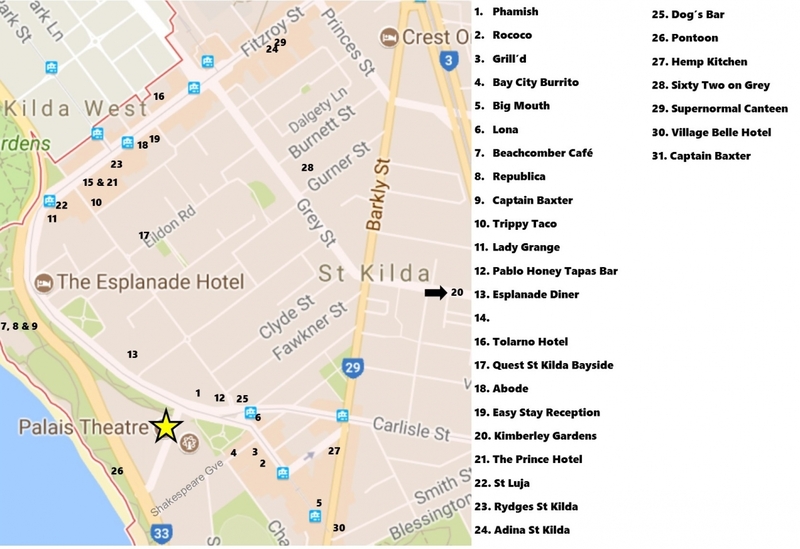 St Kilda has an eclectic range of dining options all a short walk from the Palais Theatre. Take advantage of these special offers and discounts for Palais Theatre patrons, from our fantastic local businesses. 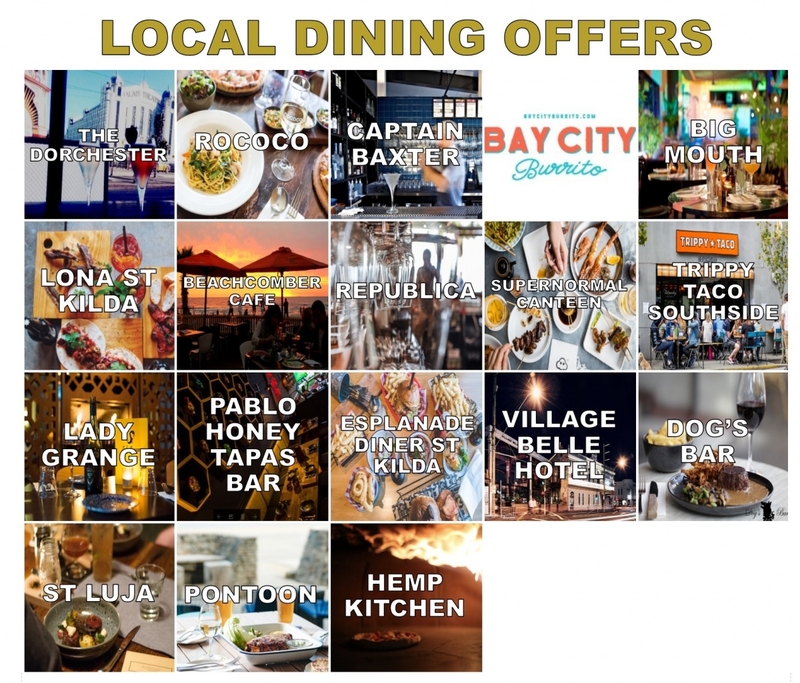 DINING OFFERS >CLICK HERE< Present your ticket for that day's event upon arrival, bookings recommended, not in conjunction with any other offer or special pricing.